International hotel operator Millennium Hotels and Resorts have announced plans to employ 4,000 staff by 2018 in the Middle East and Africa region.The company, which has 10 new openings planned within the next year, said it will focus on hiring nationals from the GCC.The properties are set to come up in Saudi Arabia, UAE, Turkey and Oman.Millennium confirmed that it will be searching for 400 managers and executives as well as 600 supervisors. 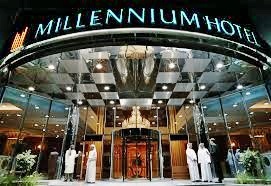 Anis Fares, director of Human Resources at Millennium Hotels and Resorts in the Middle East and Africa, said that the group’s priority will be to promote from within the company to meet the requirements in the new hotels. Kevork Deldelian, COO at Millennium Hotels and Resorts in the Middle East, added that the company will work closely with government entities to support employment “particularly as we continue to expand into Saudi Arabia and Oman”. “It is vital that we demonstrate that the hospitality industry is a viable career option above other industries by investing in training and developing our talent. The perception of the hotel industry as a career is changing amongst GCC nationals as hotel groups are seeking ways to attract and retain national talent,” he added. Millennium currently operates 30 hotels and has 40 hotels in the pipeline across the region. Specifically, in the UAE, it operates 10 properties and has 11 more in the pipeline with its next openings to include Millennium Deyaar Mont Rose Executive Apartments and Grand Millennium Business Bay Hotel in Dubai later this year. In July, the company announced an agreement with Dubai’s SuperCasa Development Limited to manage a new five-star property in Ras Al Khaimah (RAK). The 339-key resort is located on a 75,000-square-foot plot on the man-made Al Marjan Island. It will have access to a private beach, two swimming pools, a fitness centre, treatment rooms and meetings and event spaces.